What is the best trumpet practice mute without digital feedback system? What if you don’t have 170-200 dollars to spend?…. Along with the silent brass, the mute I’m holding here is the best practice mute you can find.. I present the winner right away in order to not keep you waiting. …and when it comes to standard practice mutes, the Bremner is, hands down, the clear winner. Practice mutes tends to be frustrating to play because of the high resistance, making your trumpet feel stuffy. When you play them it feels like it’s difficult getting the air to go through the horn. The Bremner is so much better in this regards than the other mutes. I also just love how well it plays in tune as all others make you go very flat in the high register and, on the other side, your pitch will be very sharp in the lower register. Sure, the Bremner does change your pitch a bit but, again, it is so much better than the rest of the mutes. It is incredible silent. You can literally practice next to a sleeping child without waking it up. I’m very impressed. Made from lightweight, yet hard-wearing, ABS plastic. The mute is extremely light and easy to handle. I really have no issues with the pricing at all. 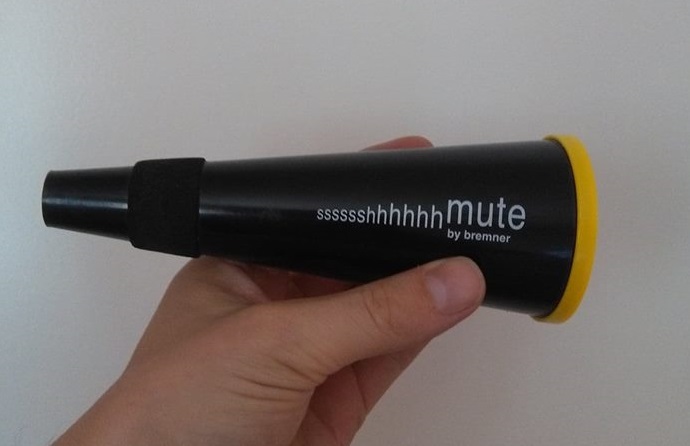 Sure there are mutes you can get for less money but they are nowhere near as good as the Bremner. …until then, however, the Bremner is the king. The Pampet does ok here. …that’s why I do not like my practice sessions to be played in a way that is far from the way I otherwise play. No, there should not be too much of a gap between the resistance you use in your practice room versus what you use on the gig. That is a recipe for disaster. Yeah, the always present issue with pitch when you want to use a silencer. Honestly it is far from great. Lightweight hard plastic. Points for being really light. …however, I still recommend you would try to come up with a few more bucks and get the Bremner instead, as the Bremner feels so much better practicing with. It’s not too bad but there is still some room for improvements. Denis Wick makes quality stuff that is for sure but even here there is room for improvements. Nothing to complain about. It is easy to play very quiet with it. Not exactly sure what material is used but it is pretty light and there is no problem with the mute falling out of the bell, like some others tend to do. Again I guess the pricing is where it should be. It costs a bit more than the PAMPET but then again it is better than the PAMPET. On the other hand it is a tiny bit cheaper than the Bremner and I would say that it does not really match the Bremner. It comes pretty close but The Bremner still beats the Denis Wick. This is a mute I could consider owning if I could not have the Bremner. It comes pretty close but the Bremner still wins. Denis Wick comes in on a honerable second place though. Pleasantly surprised by this. It’s far from perfect but better than most mutes. Still not as good as the Bremner though. Fair enough. Even though there are mutes that are more quiet it is still very easy to play extremely quiet with this one. No problem here. Light aluminium. Sit well in the bell and I did not have any problems with it falling out. Heavier than the Bremner though. I think the pricing is good. It is one of the better mutes and that also shows on the price as it is a bit more on the expensive side. As with everything else in life, we get what we pay for it seems. I could see myself using this mute. I do not like it as much as the Bremner but it is a decent one and as it is about 10 bucks cheaper than the Bremner it is a mute you could consider buying if you want to avoid burning too much money. As you can see the Bremner SShhmute is a clear winner here and I am very happy that I own one. 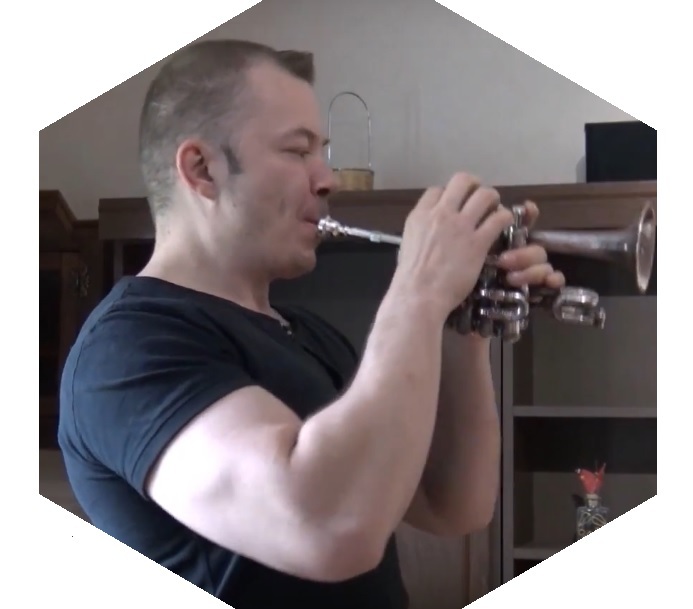 Playing the trumpet is not easy and we all know we have to practice in order to keep our chops. Personally I can’t afford more than one day off a week or else my playing suffers. 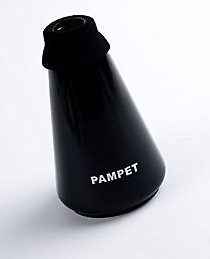 If you have neighbors, or live somewhere where you are prevented from practicing your trumpet whenever you want, you should consider ordering a trumpet practice mute. One of my favorite uses of the Bremner is in the summer when I go on a short hike. I take my trumpet with me and I have had many awesome practice sessions in the sun out in the nature. To prevent disturbing the peace for other hikers I use either the Bremner or my Yamaha Silent brass. These are very pleasant memories I carry with me during the cold winter and then I really look forward to next summer when I can go out again. This review post is about testing and finding a good trumpet practice mute without the digital feedback system but let’s rate the Silent brass just for fun and see what score it get…it will be disqualified though due to it being the only one with batteries and electronics in it. Very good for being a practice mute. However the upper register, at loud dynamics, do get a bit stuffy in all honestly. Nothing to complain here with the standard Bb-trumpet. When I put it in my Eb-trumpet the intonatin is a bit worse though. As quiet as it gets on the outside and as loud as you want in your ears. Lightweight hard plastic and the mute completely disappears in your bell. It is so light and convenient that it does not disturb your practicing at all. Yes it costs more than the other mutes but with the digital features there is no way we can get around that. We get what we pay for and I think they will always be under 200 dollars so it really is not THAT bad. …it’s just that it is not as fun to use. However it is a very good practice mute and I often use the Bremner instead of the Yamaha, on days I want to feel a bit more “free” and don’t want to mess with cables and head phones. Thanks for reading and keep practicing! Previous Previous post: Does Playing Trumpet Damage Your Lips ? Next Next post: Does Playing The Trumpet Hurt Dogs Ears ?